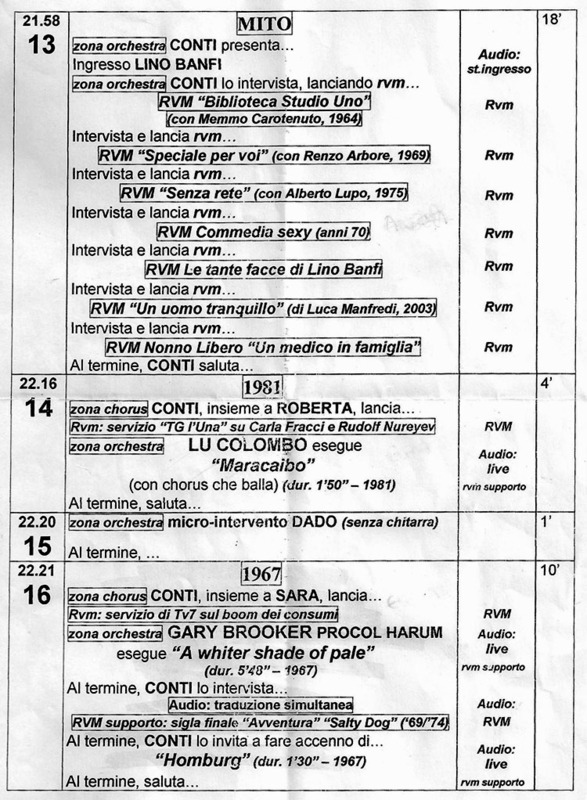 As for the original programme of the show (see below) the three parts were scheduled one after the other (in a row) but when it was the moment to go on air the art director of the show decided to break them. So AWSoP was seen from 1.02.45 to 1.09.20 and the interview and Homburg from 1.27.10 to 1.32.10. • Both songs were played with the RAI orchestra (no choir) where the string section (violins) was predominant. Some good horns were noted too. Use this link to see Gary’s performance shared for the benefit of all the Palers. No worries about copyright because the show – view it here – is freely accessible on the RAI website.